Profile: The county wanted a state-of-the-art upgrade for this signature building. The fourth-floor renovation provides eight of each-courtrooms, judge's chambers, jury rooms, and conference rooms-with new office and administrative support areas throughout the other floors. All the public spaces incorporate the latest in information, data management, and courtroom-specific technological upgrades as well as tie-ins to the building's existing security and communications systems. 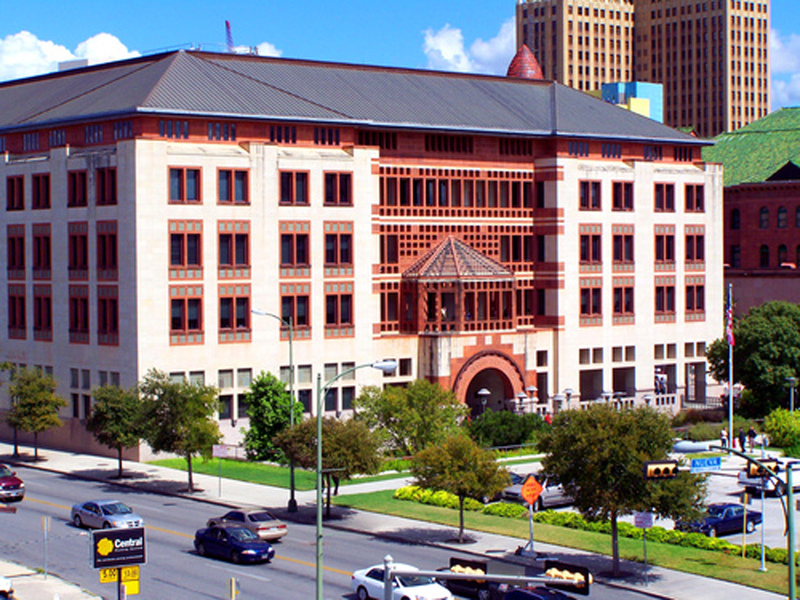 The five-story, 1890s courthouse itself has undergone extensive rehabilitation over the past decade, winning a Masonry Contractors Association award in 2013.